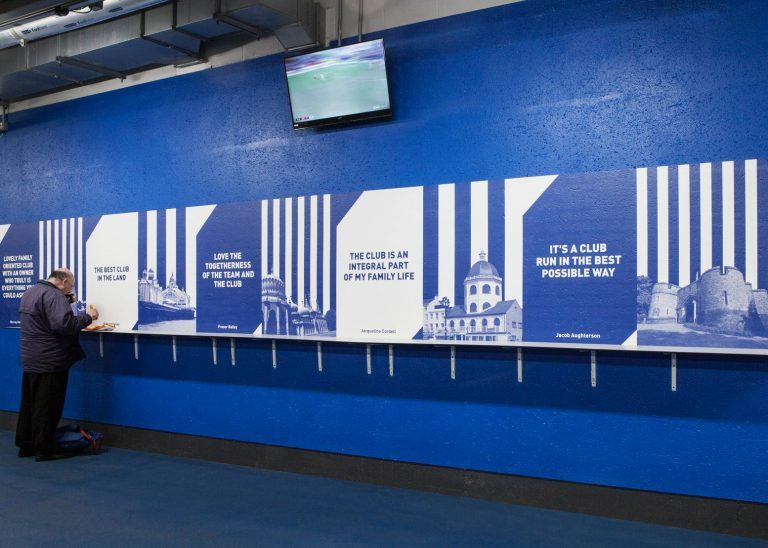 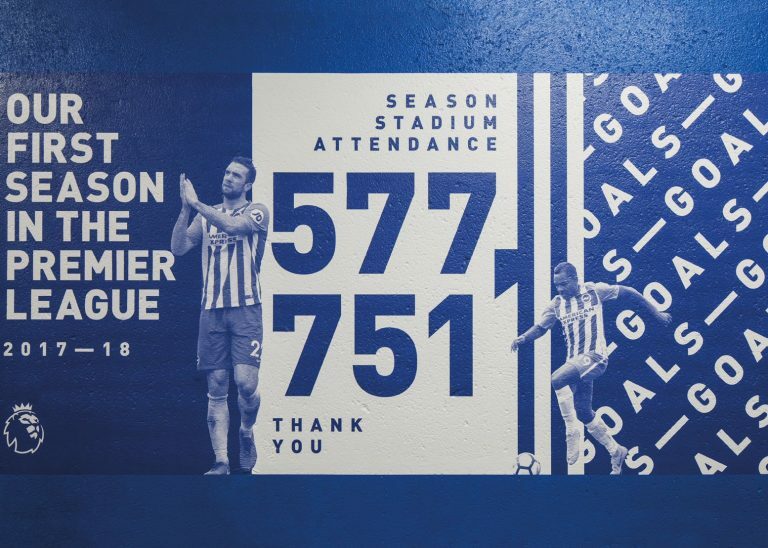 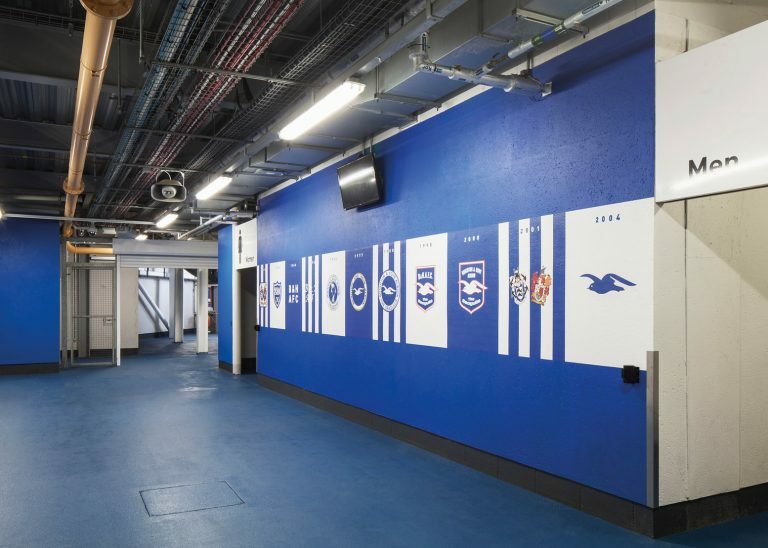 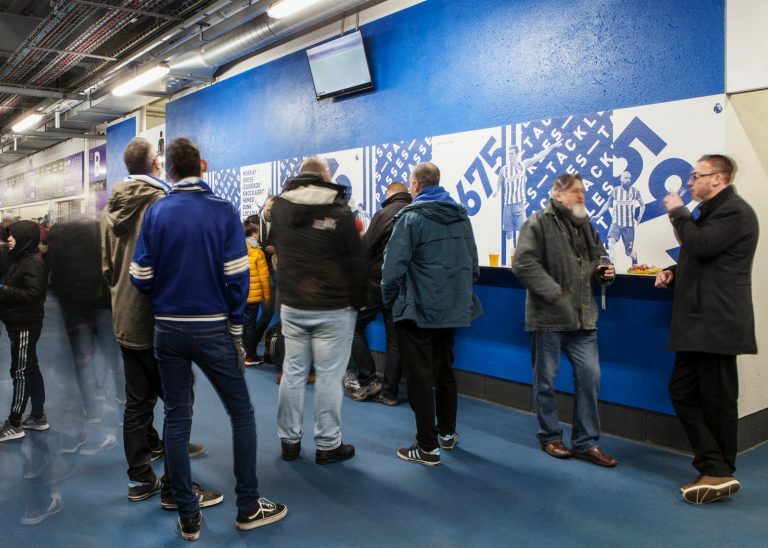 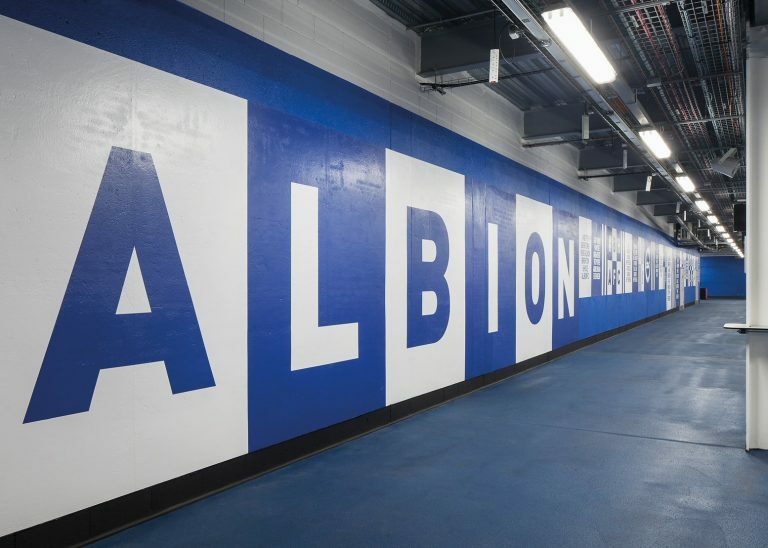 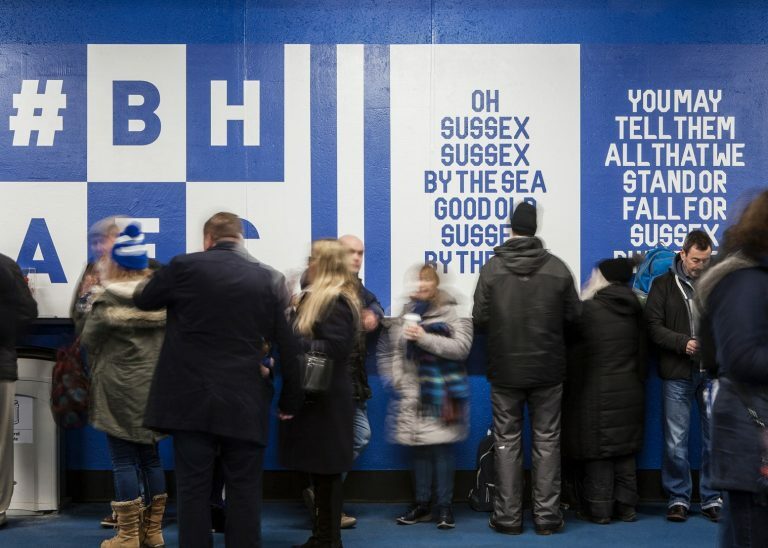 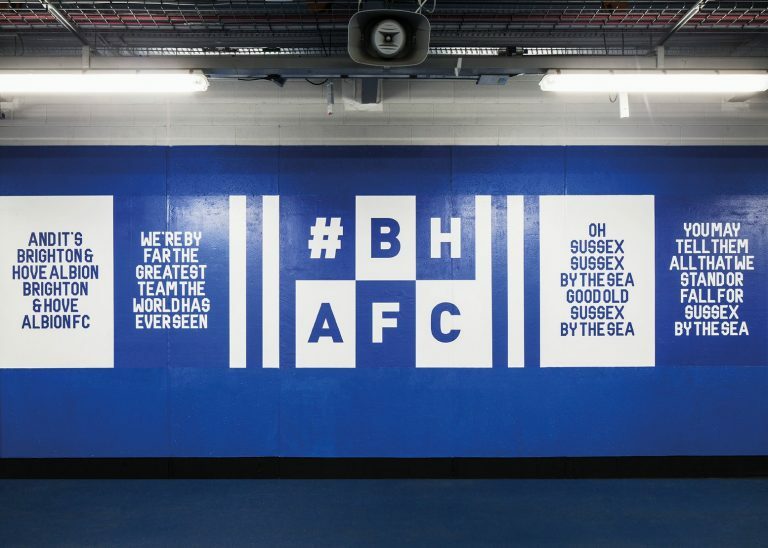 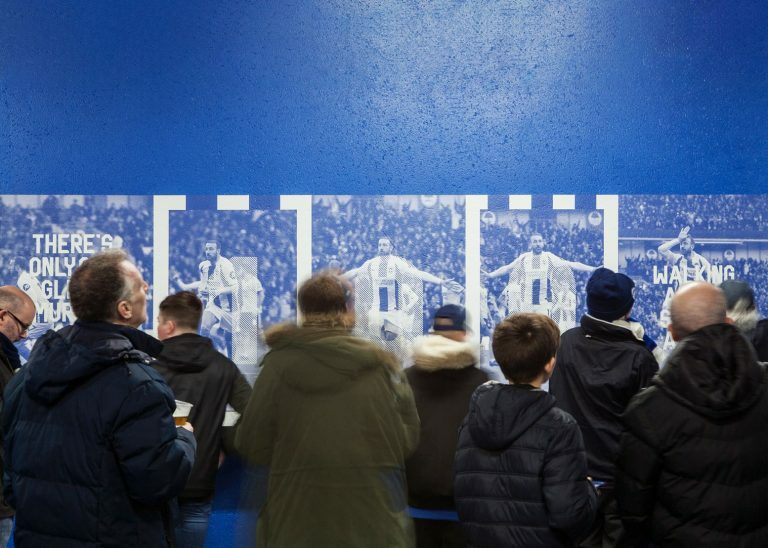 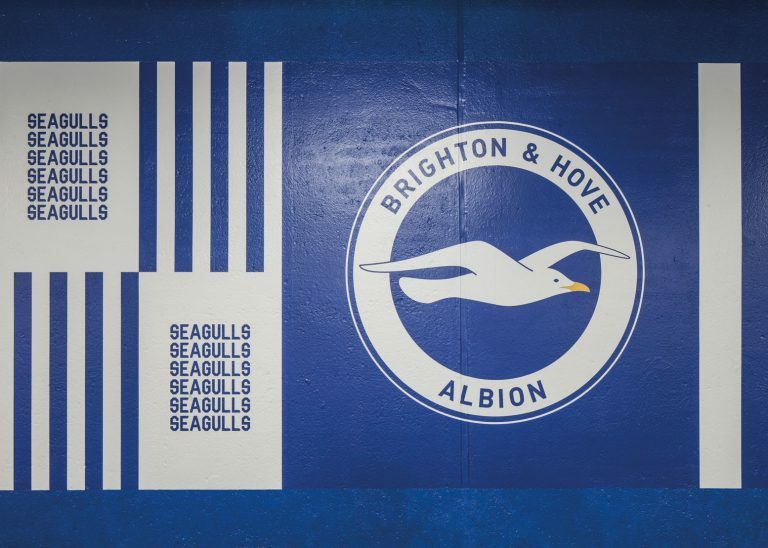 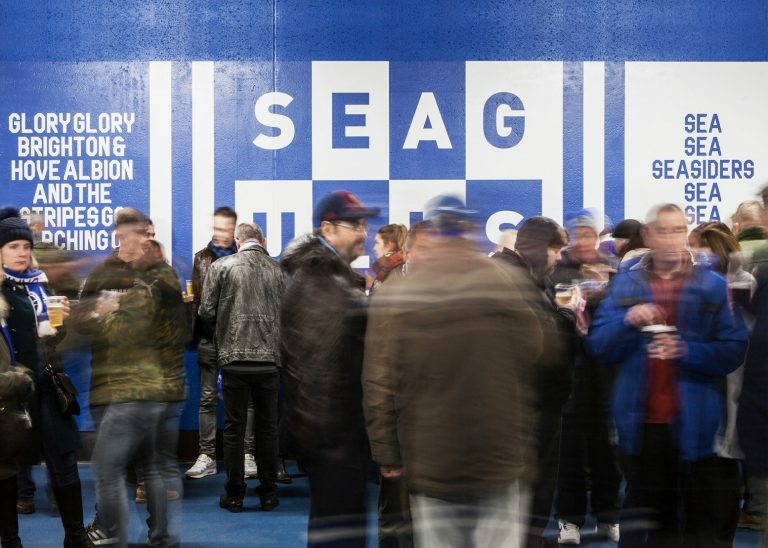 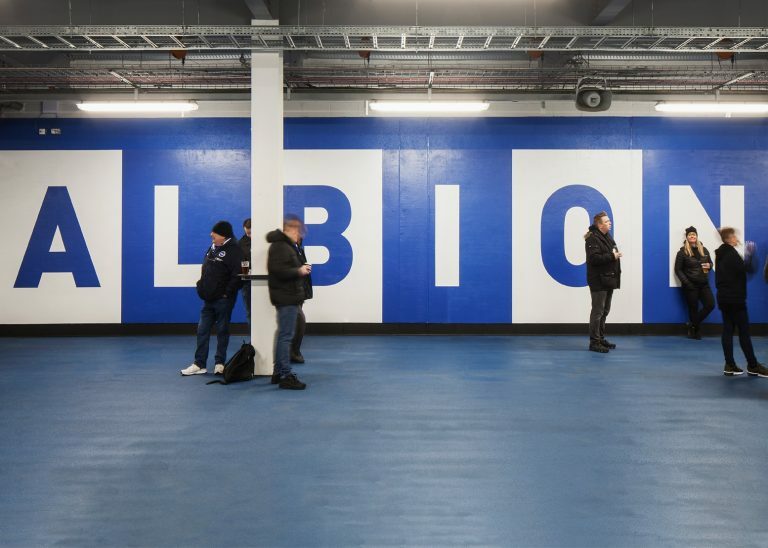 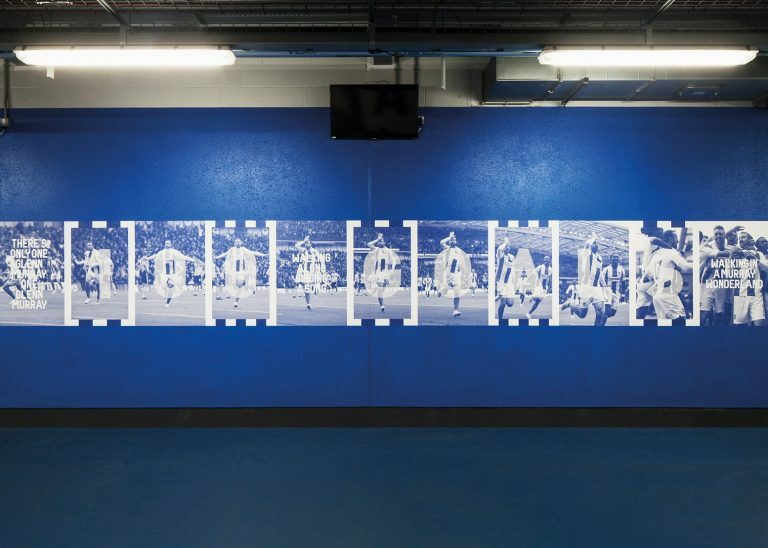 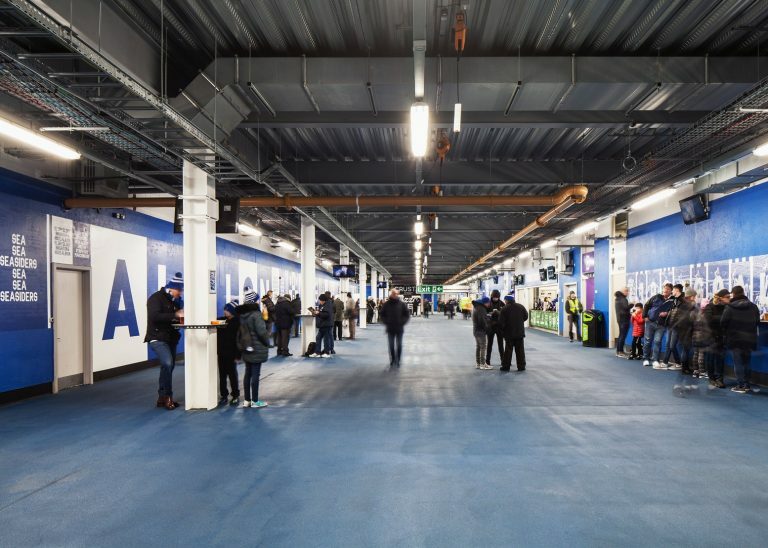 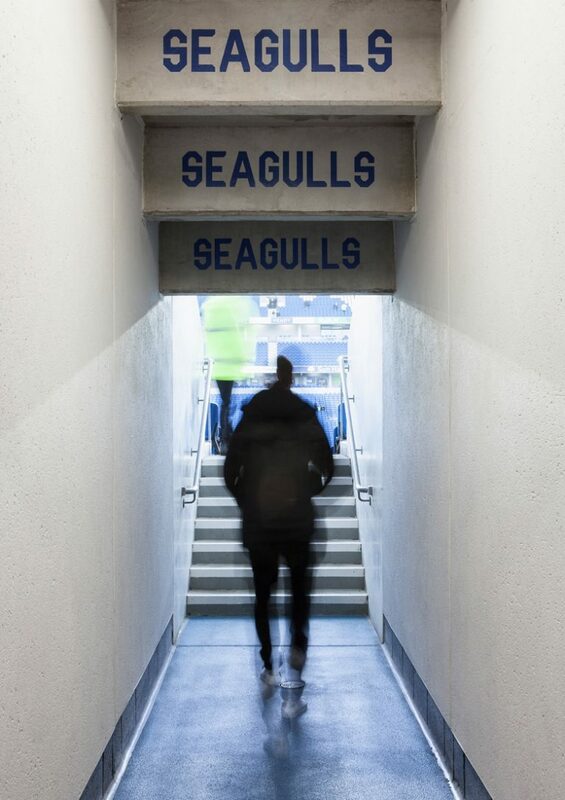 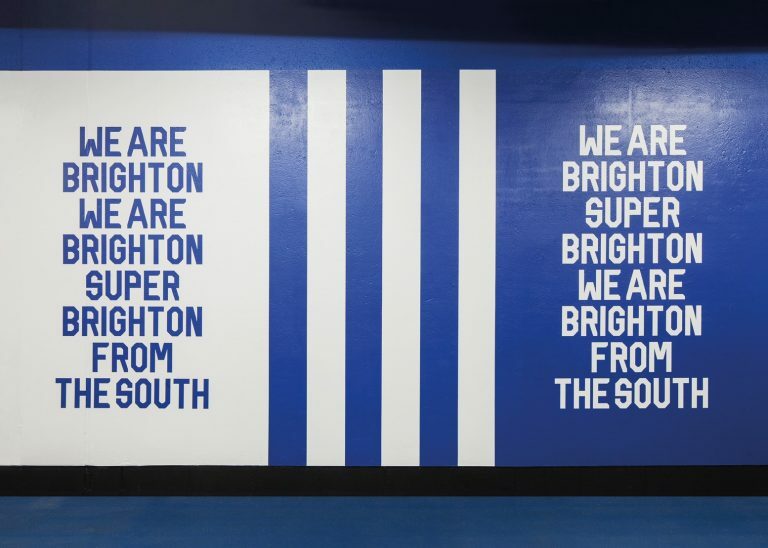 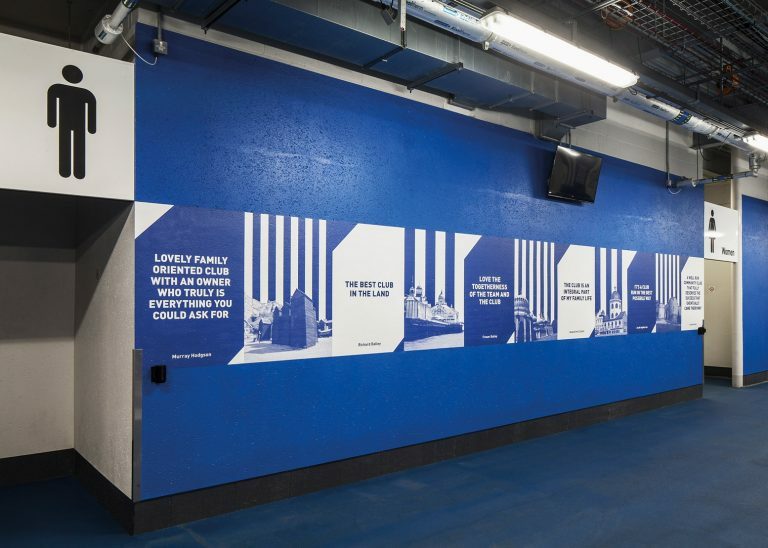 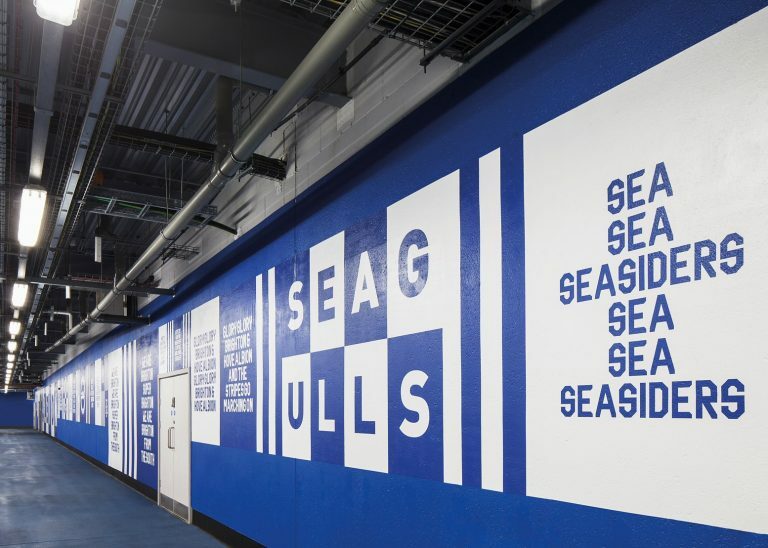 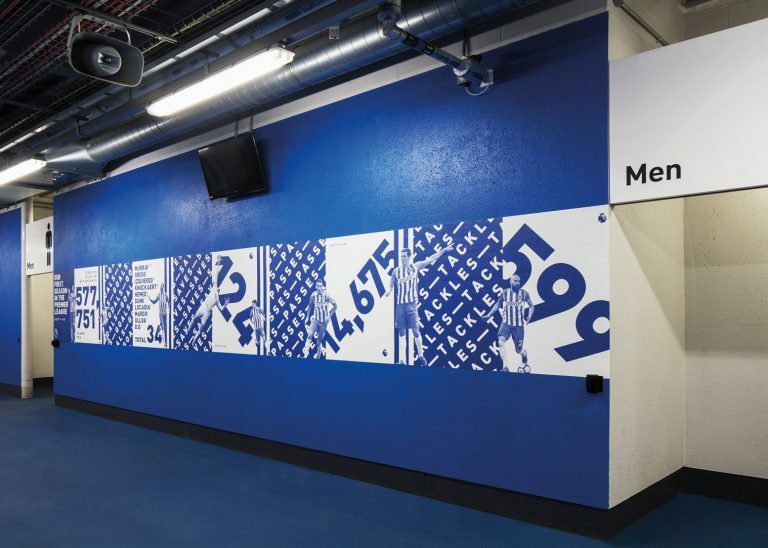 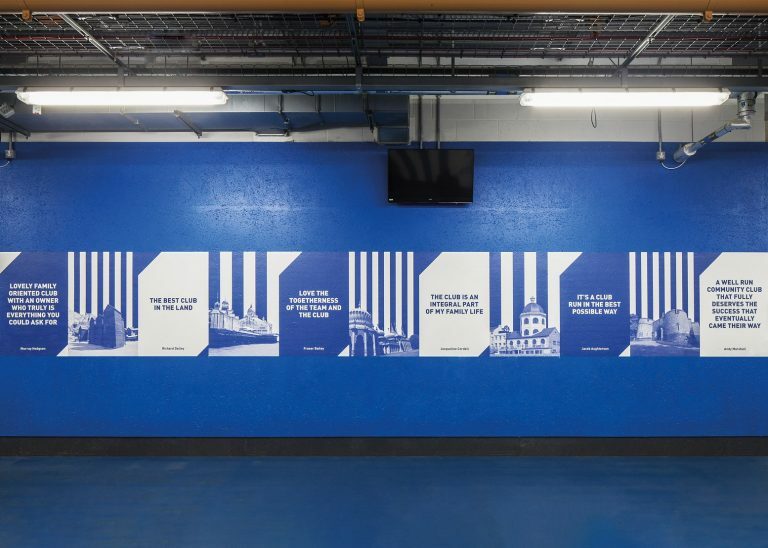 Having designed Filthy Seagull Display, a bespoke typeface for Brighton, the Premier League Football Club commissioned us to design a set of wall graphics for the East Stand concourse at the Falmer Stadium in Brighton. 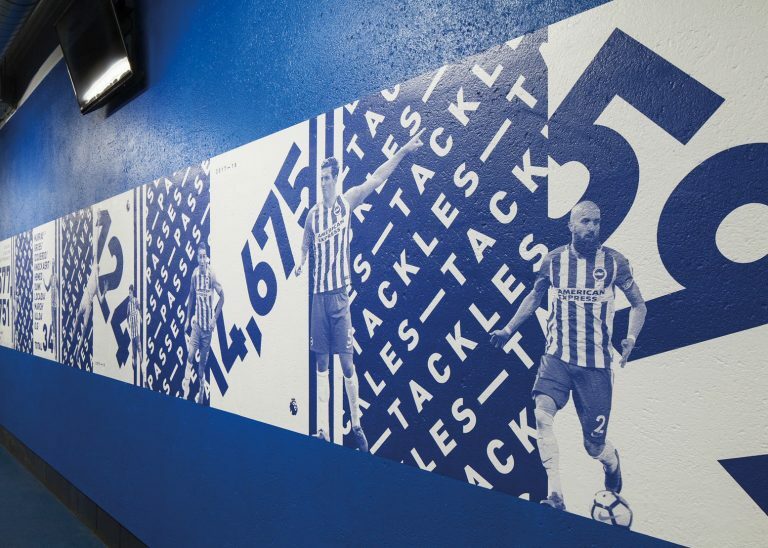 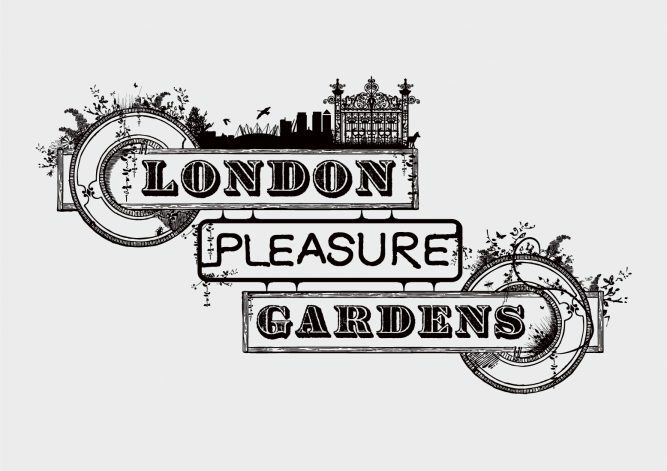 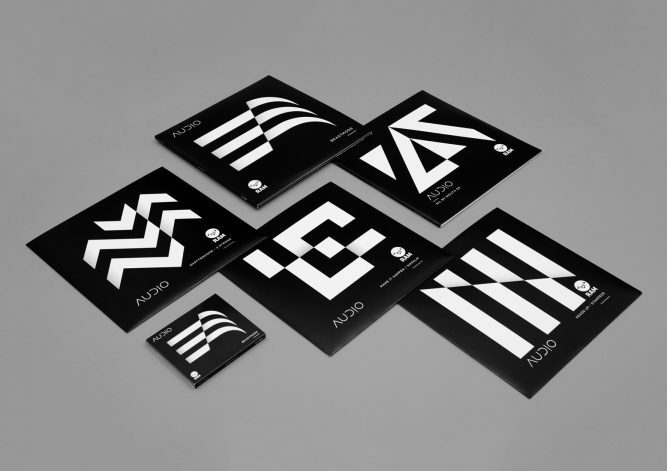 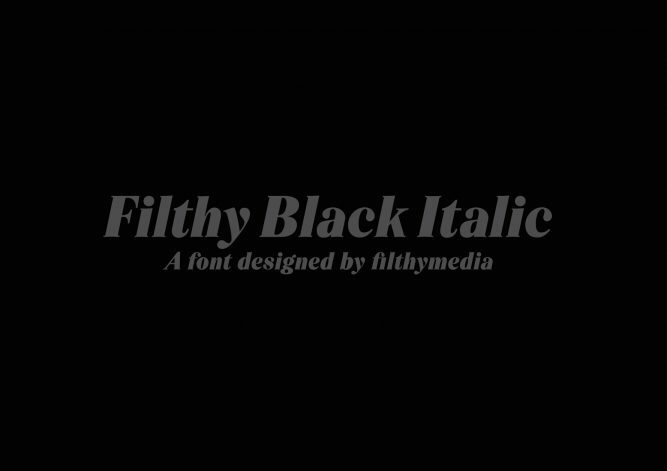 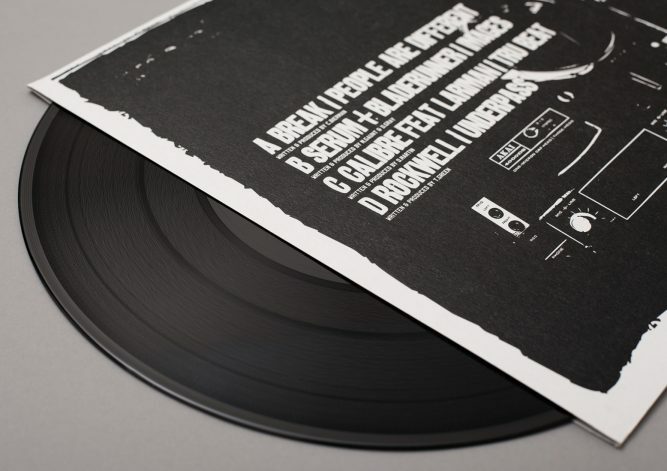 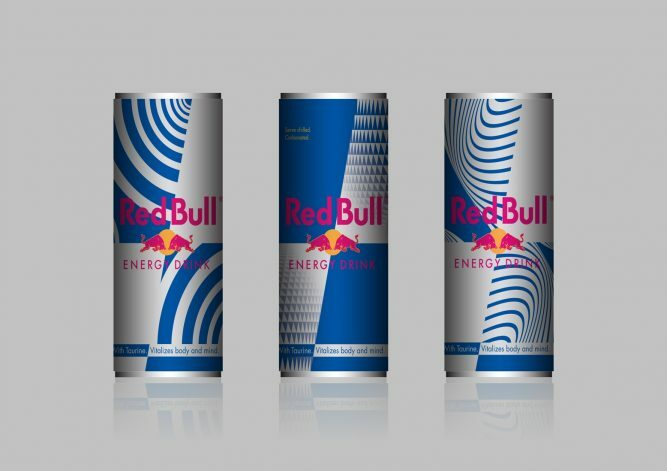 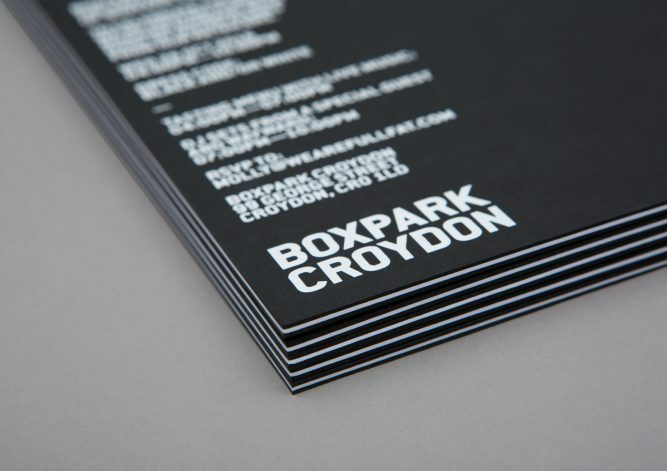 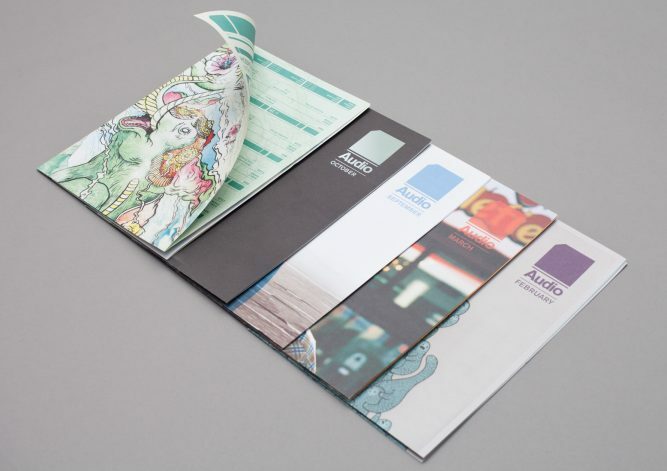 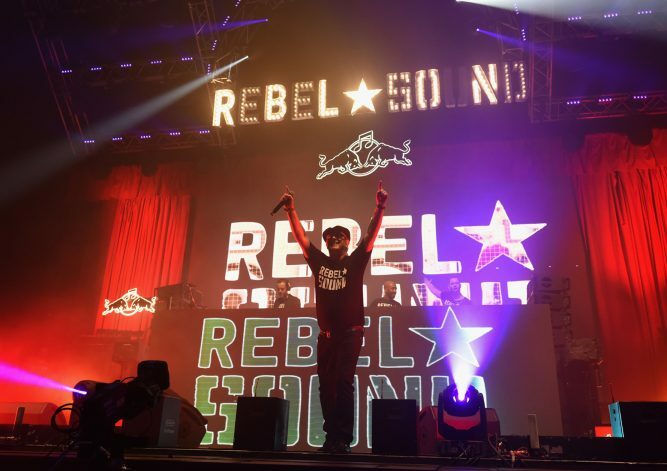 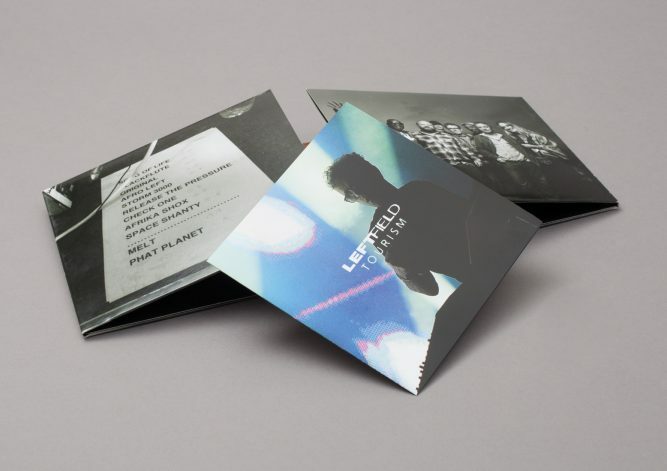 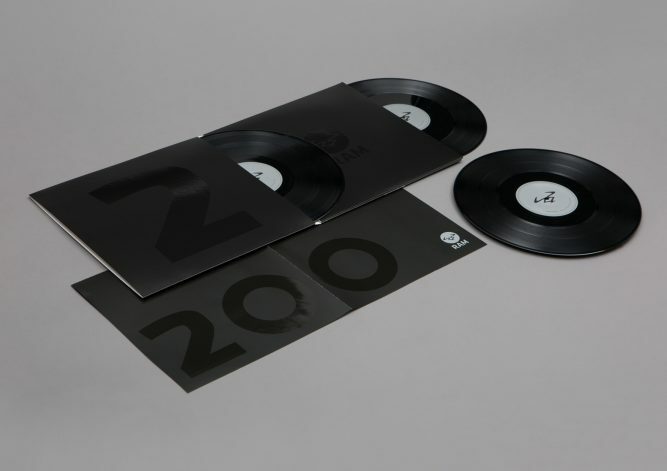 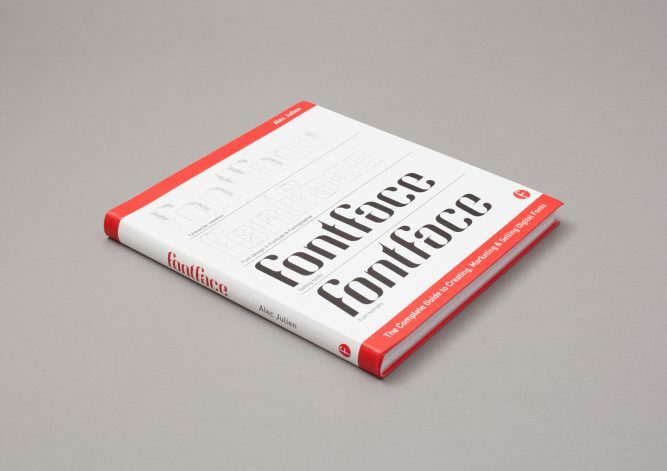 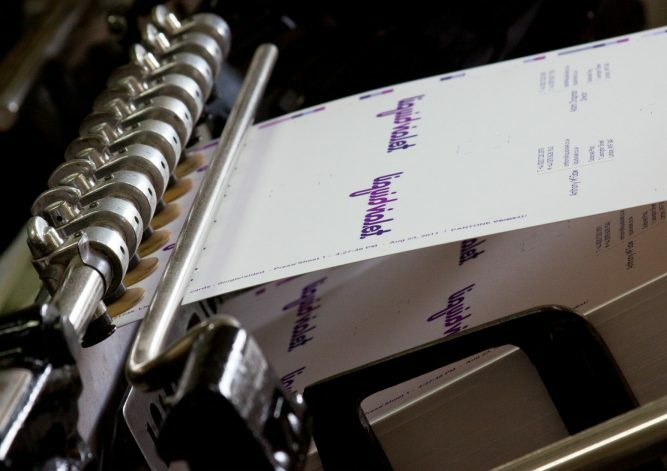 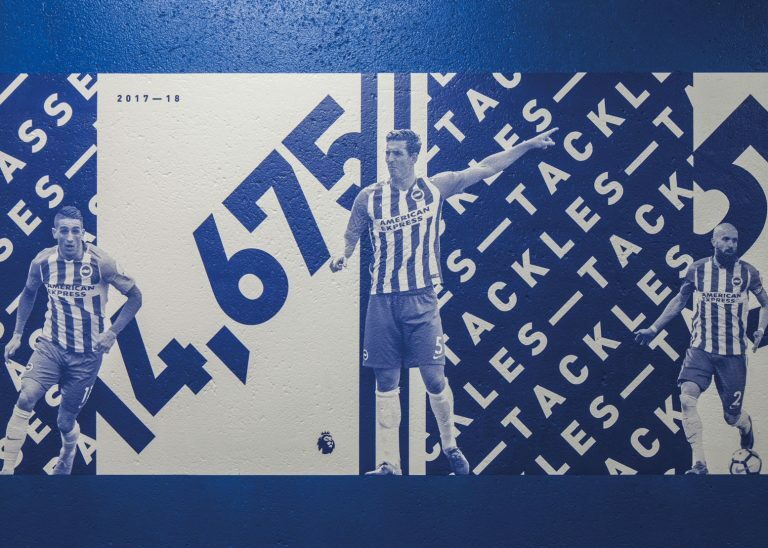 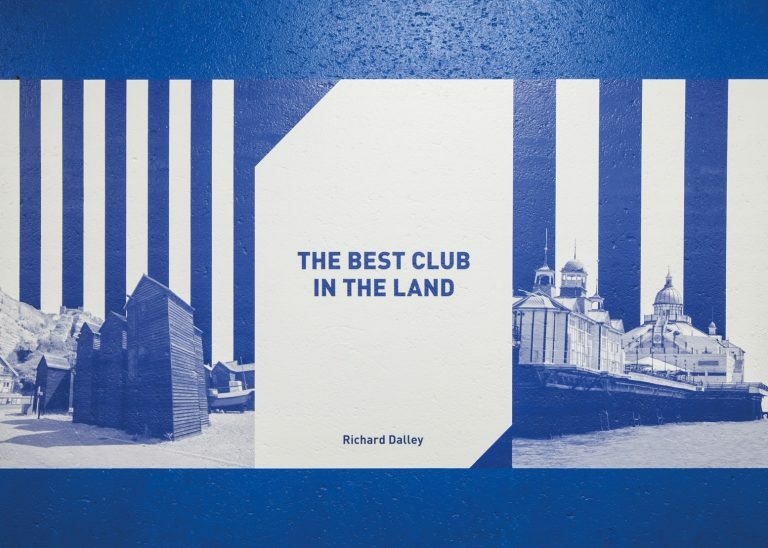 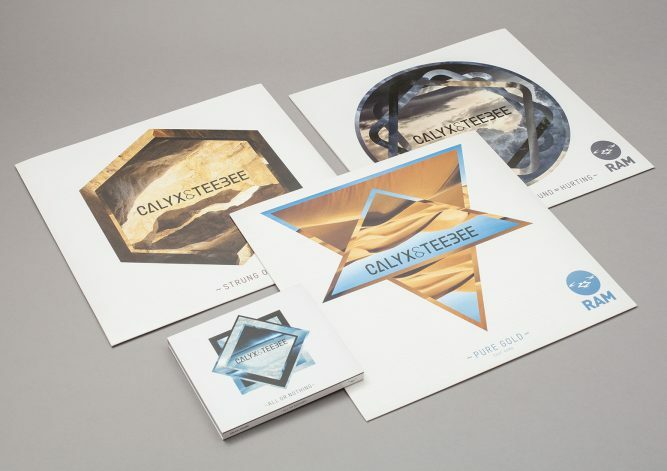 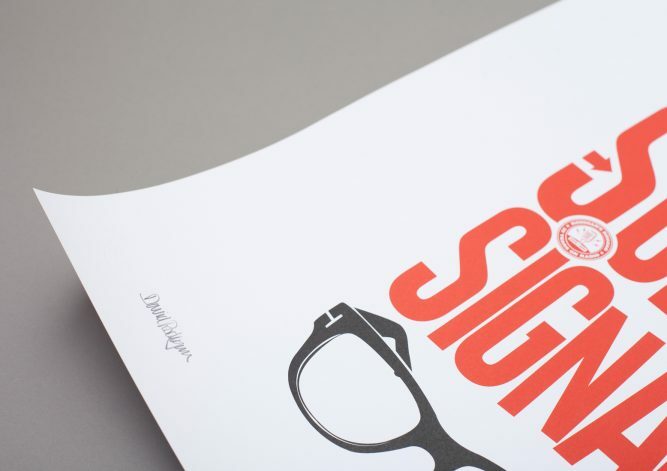 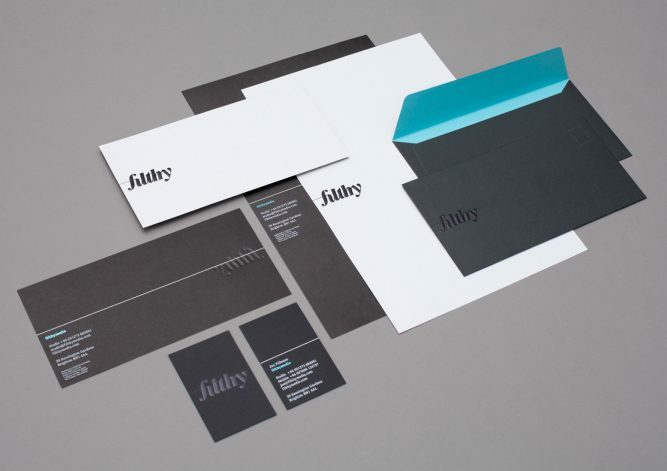 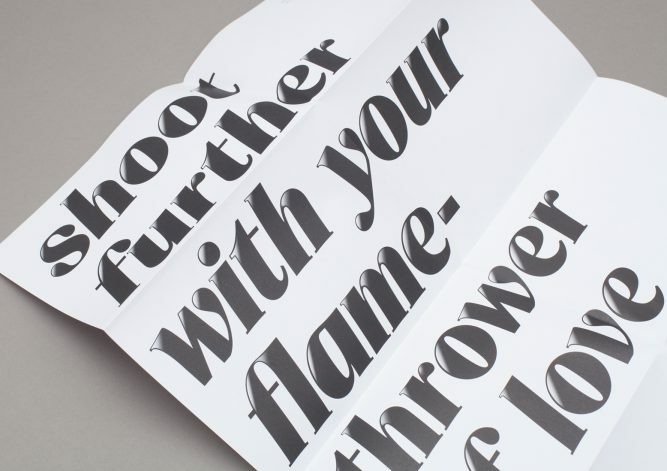 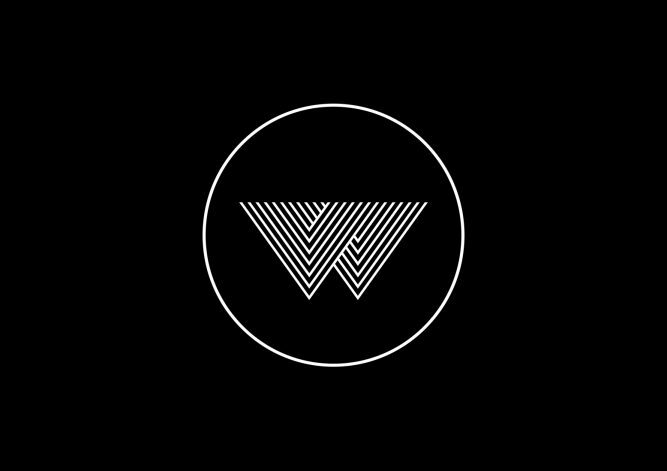 The concept for the main wall was to utilise the typeface to create a fly poster campaign, illustrating the clubs chants and songs from the stadium terraces. 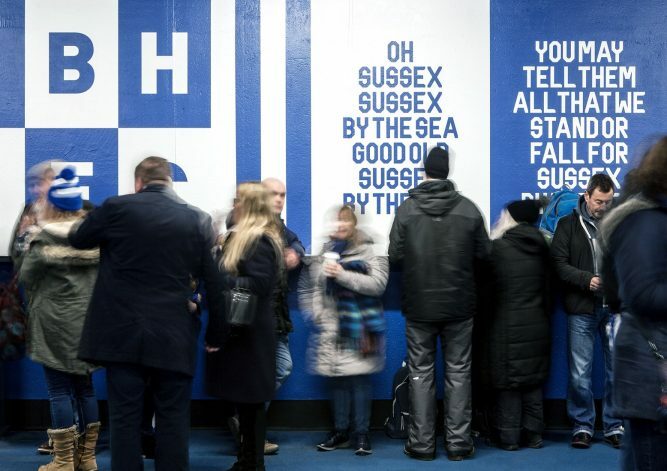 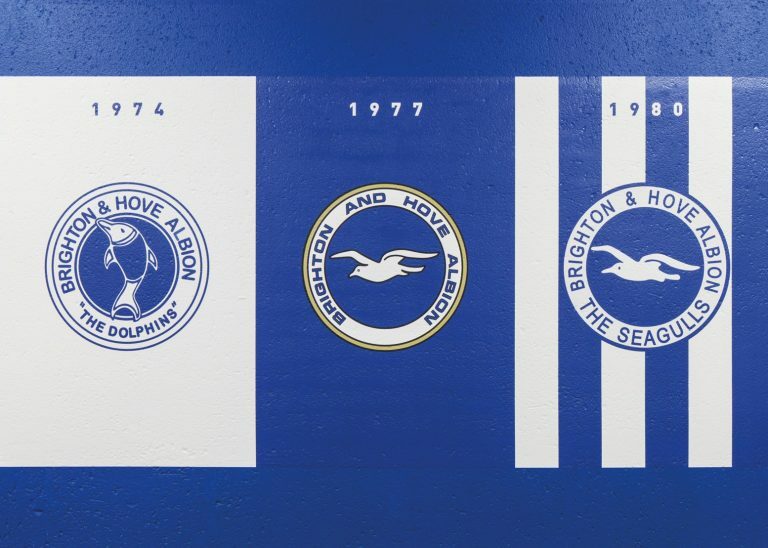 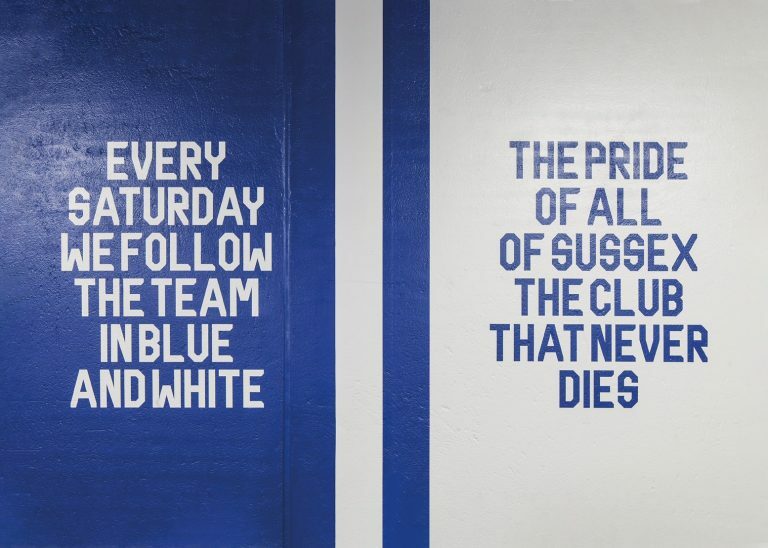 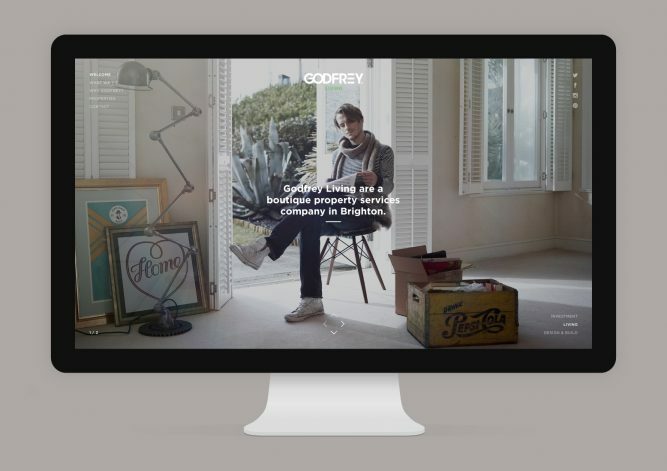 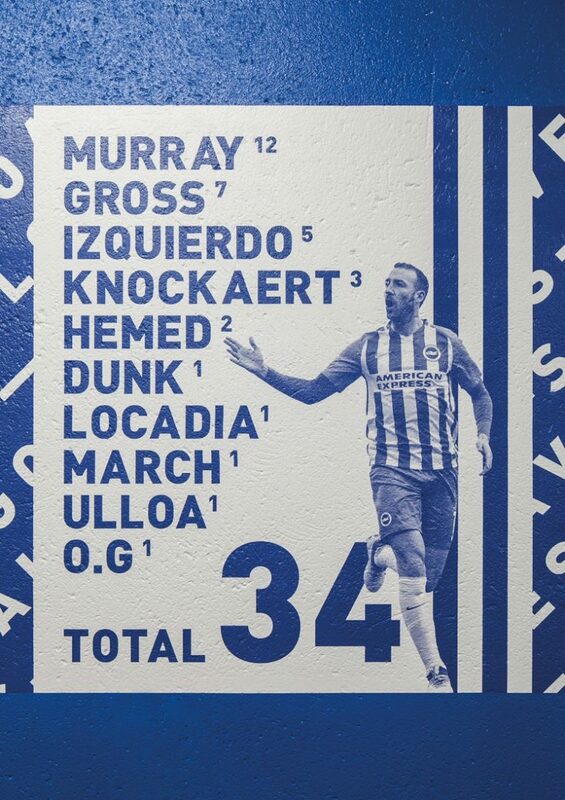 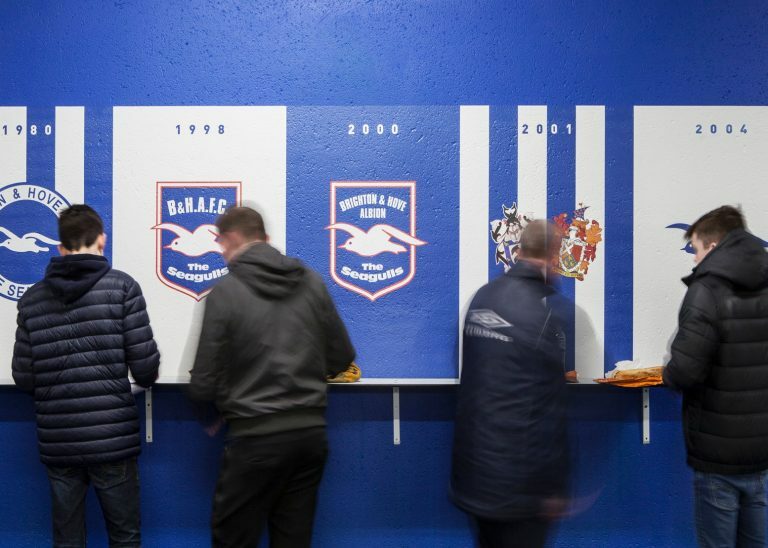 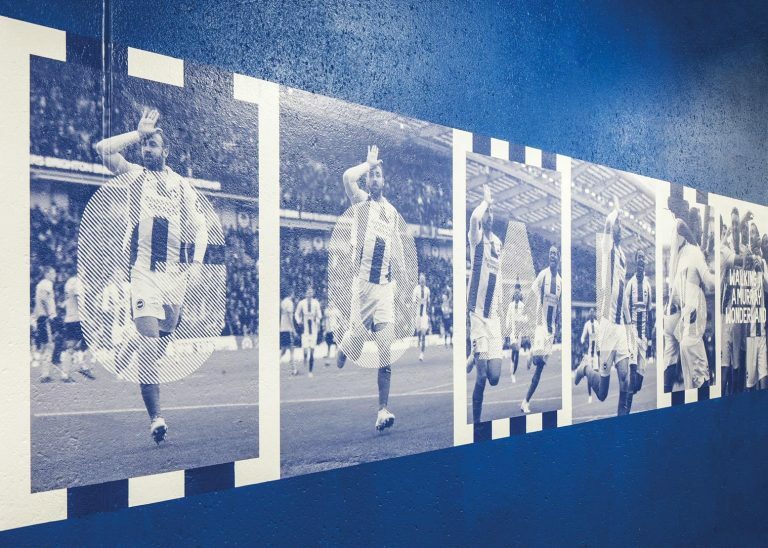 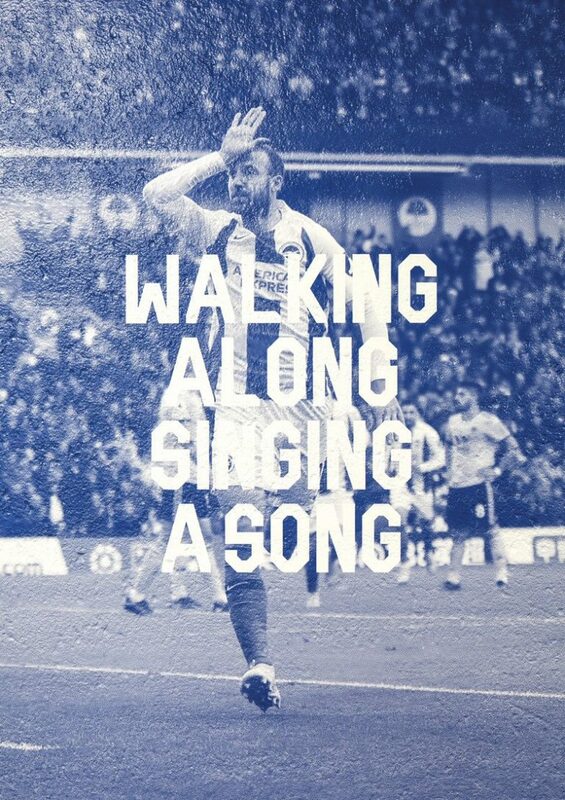 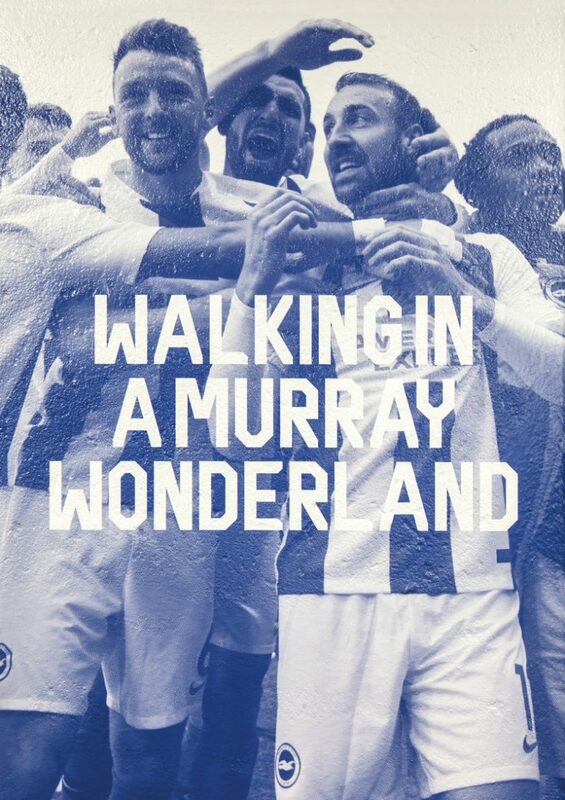 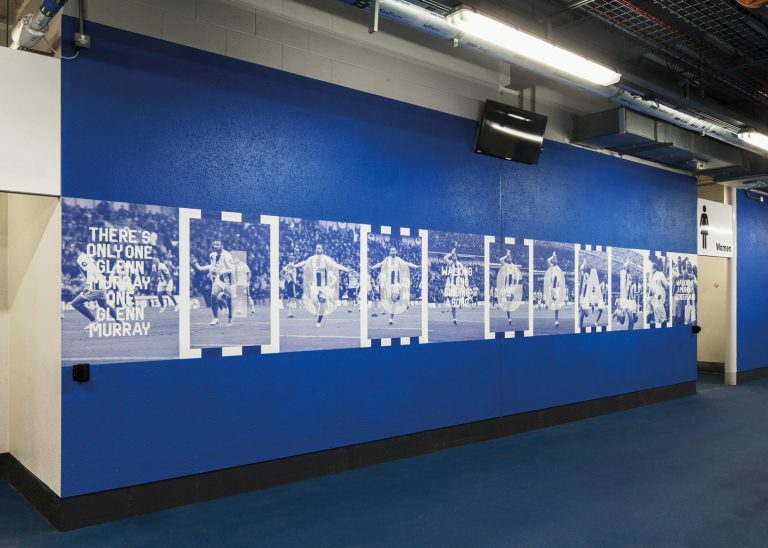 The second wall displays statistics, celebrating the seagulls first season in the Premier league, the third wall pays homage to Glenn Murray's 100th goal for the club, the fourth wall features quotes from fans alongside location photography from the Sussex coastline, and the fifth wall shows a history of the club crests from 1948 to 2011. 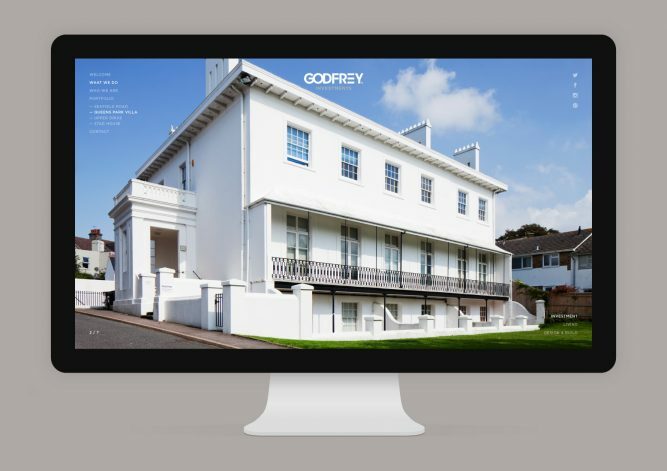 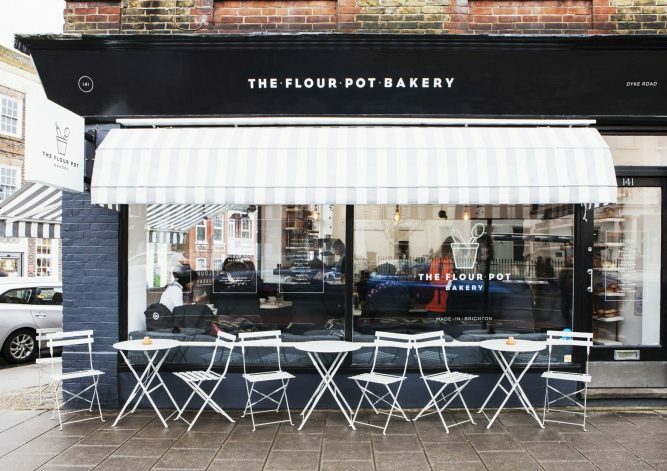 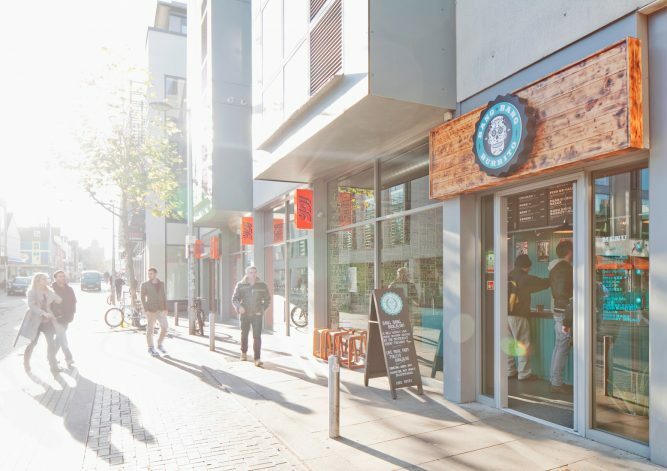 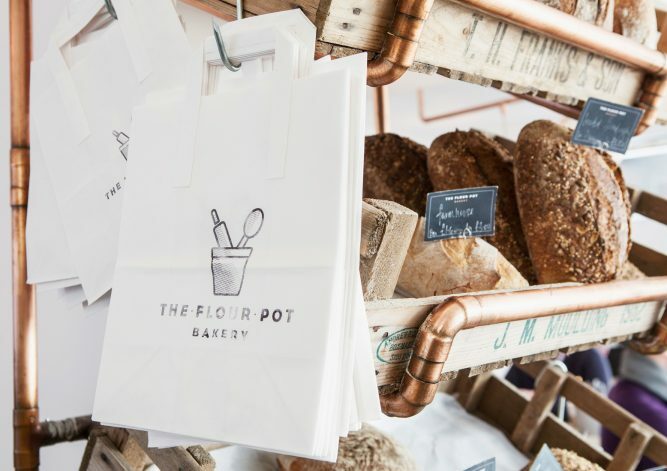 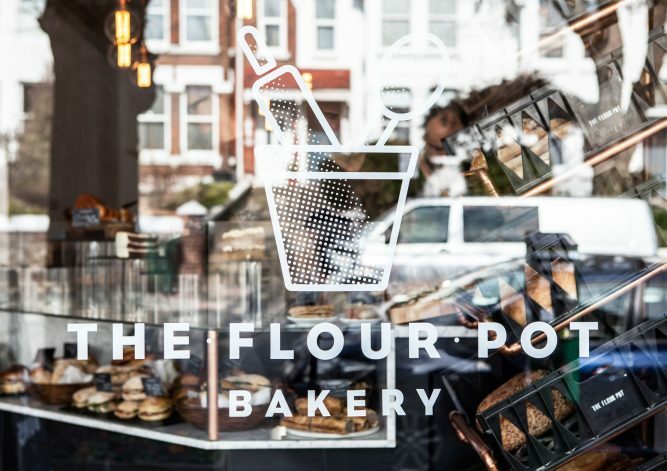 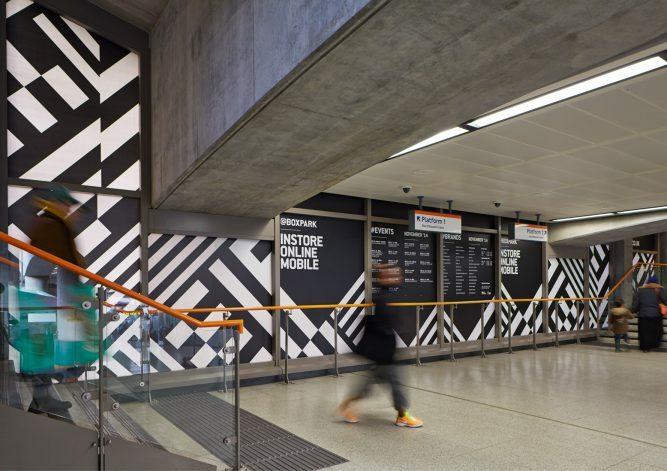 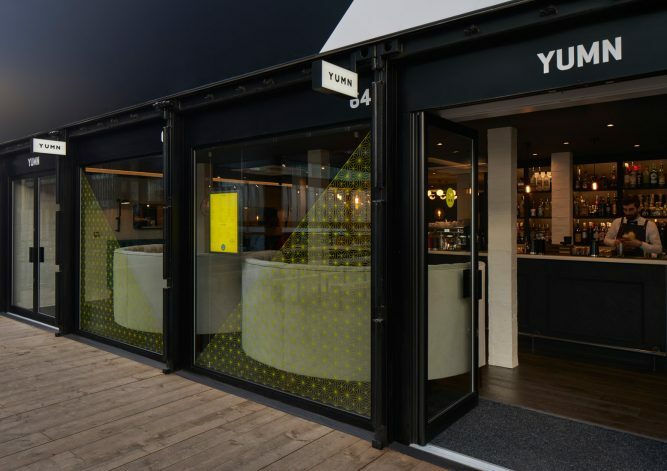 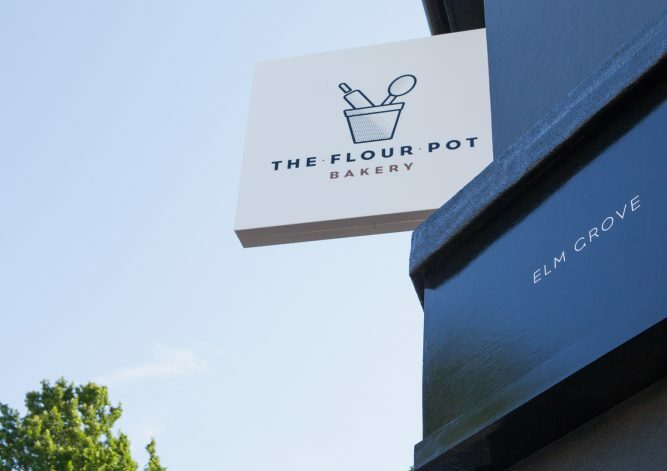 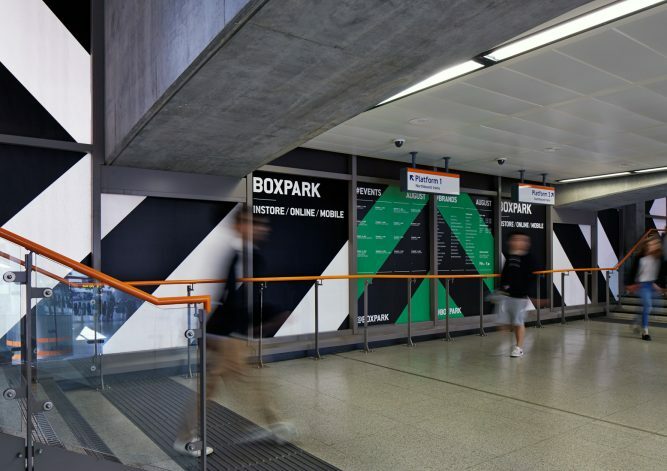 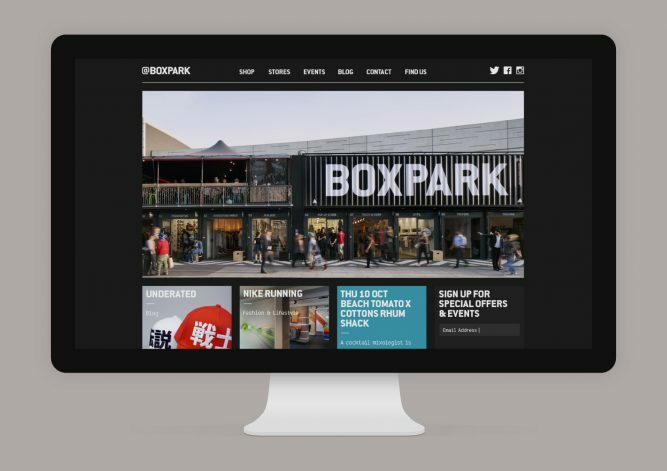 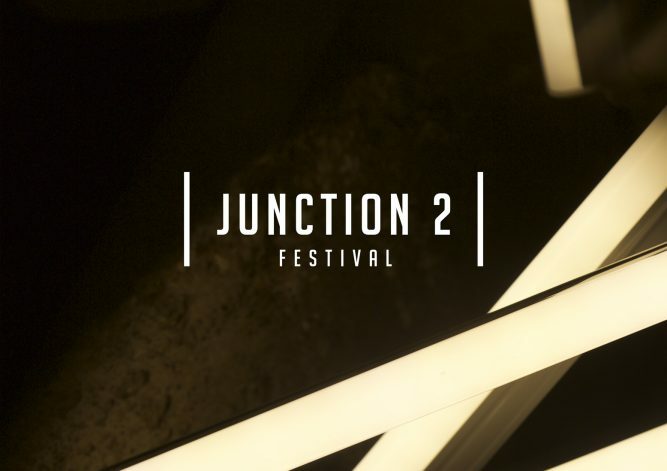 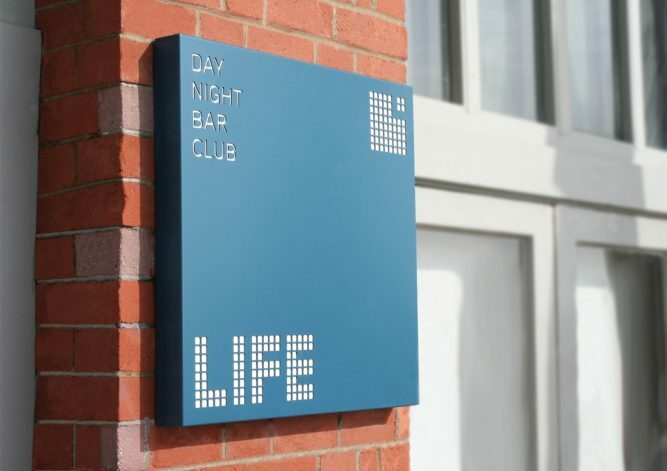 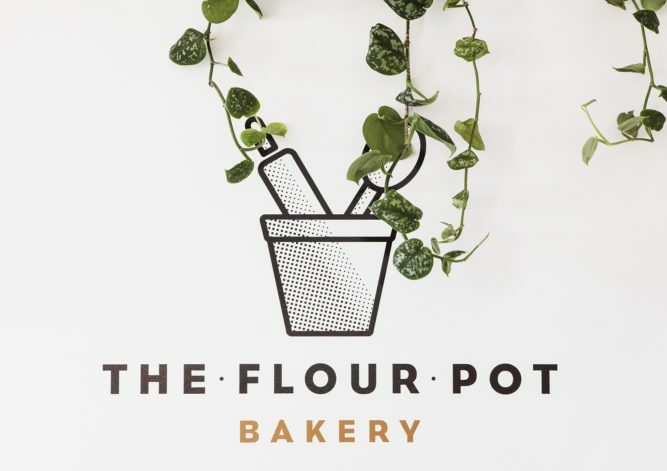 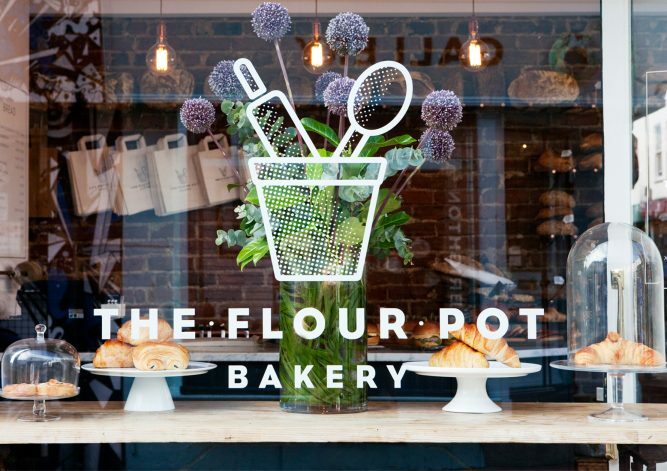 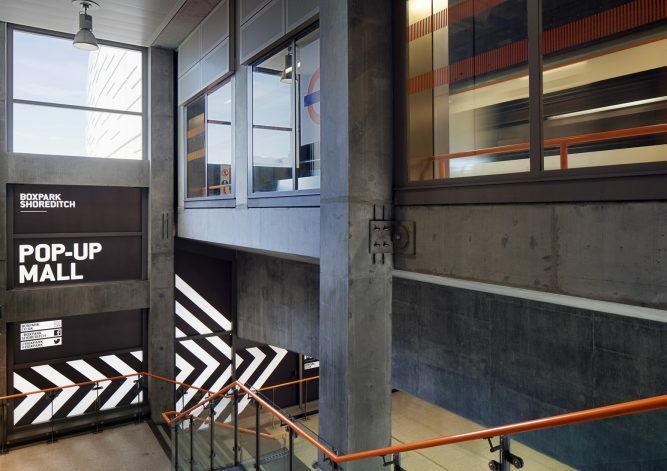 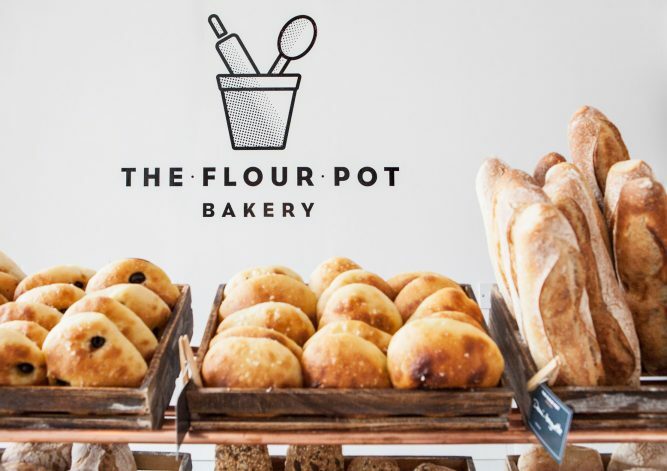 We produced and installed all the wall graphics using a 3M Film Wrap, heat-sealed directly onto the concrete render, lending itself perfectly to the fly poster aesthetic.